The target of this course is to develop an interest and foundation in Putonghua. Content includes basic Putonghua Hanyu Pin-yin, listening and speaking Putonghua through games, songs, storytelling and role playing. 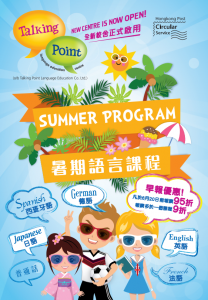 The course also helps the kids in preparing the HK Kindergarten Putonghua competition. The course can further enhance the students’ Putonghua level, especially focusing on the pronunciation and Pin-Yin. Teachers will use role playing, speech, and daily life conversation to strengthen students listening and speaking skills. The course also helps the students in preparing the GAPSK which is a Putonghua benchmark examination for school age children. The course can help the students to overcome the writing difficulties in Chinese. Teachers will use different writing exercises like sentence making, passage writing or composition, to encourage the students’ imagination and train their organizational skills in writing.